Teams are filled on first come first registered. Projected trip cost, excluding medical preparations such as immunizations and prophylactic medications for which the individual must take personal responsibility, is around $2000.00 per person. Trip cost includes pick-up and drop-off at the Guatemala airport, transportation in a minibus or bus the whole time we are there, hotels, translators, tips at all meals and for baggage-handlers, most meals, and some misc. expenses. Airfare also included. Deposit of $100.00 with registration. Registration deadline is August 1, 2019. You can choose to make monthly payments toward the total cost of $2000. A total of $1000 is due by August 1, 2019 with the balance due on September 1, 2019. 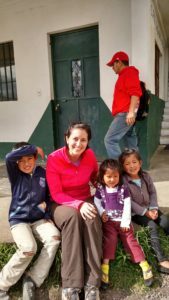 The $2000 includes airfare, room, board and transportation in Guatemala. This is a hands-on service trip. We do whatever is most helpful for Salud y Paz. In the past this has included painting furniture and classrooms, tiling the school kitchen, organizing and painting in the clinic. Persons with carpentry, masonry and electrical skills are always needed. All our work is done under the direction of someone from Salud y Paz. No special skills are necessary -only an attitude of openness and acceptance and a willingness to serve. Safety is always a priority. Prior to the trip we will develop together a more informed knowledge and increased sensitivity to the complex historical, cultural, religious, socio-political and economic issues found in Guatemala. During the trip we will interact with the residents of this region and learn more about these people and their culture. All team members will be asked to read recommended materials, view videos and engage in other activities to help prepare for the time. These readings and ensuing team discussions gives the team a deeper understanding of the experience and culture of the people we will serve. All pre-mission gatherings will be a time for the team members to become better acquainted as we answer questions, share trip details and engage in discussions. During the Guatemalan Civil War in the 1980’s and 1990’s, dentist Phil Plunk spent several weeks serving in Guatemala. On each trip to pull teeth, Phil became more and more aware that the need for dental care in Guatemala couldn’t be solved through week-long service trips. What the people of Guatemala needed was easier access to regular care. So Phil packed up his dental practice and moved to Guatemala. In 2001, Phil founded Project Salud y Paz and opened a small clinic in Camanchaj, Quiché, Guatemala. For the first time, comprehensive dental care, including cleanings, extractions and fillings, was available to people in the rural highlands. Phil worked with the local bomberos (firemen) to spread the word about the American dentist providing free dental care. Slowly, news of Salud y Paz reached more and more and people and the number of patients began to grow. Since 2001, the clinic in Camanchaj has grown from one American dentist seeing less than 10 patients a day to one full-time Guatemalan doctor, two part-time doctors, a dentist, and a dental assistant seeing more than 50 patients a day. In addition, Project Salud y Paz operates a second clinic in Quetzaltenango (Xela-Urbina) and began partial operation at a third clinic in Cunén in early 2014. Salud y Paz doesn’t just provide medical care. In 2009, Salud y Paz opened an early education center called Susanna Wesley School. Susanna Wesley School provides education, nutrition, and medical care for more than 50 children preschool through first grade. 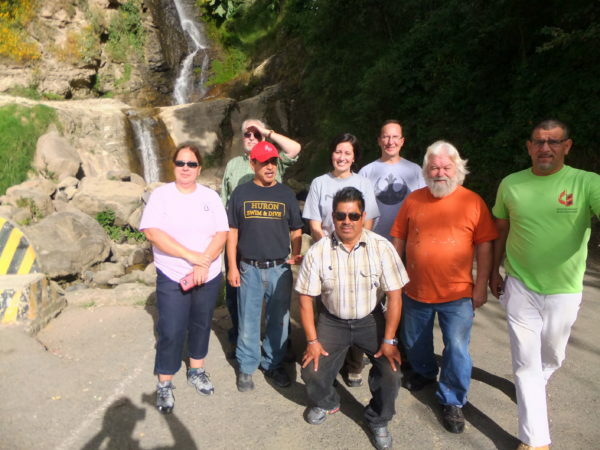 Salud y Paz is now a joint project of International Hands in Service (a U.S. based 501c3 non-profit organization), the Iglesia Metodista Nacional Primitiva de Guatemala, and the United Methodist Church in the United States.